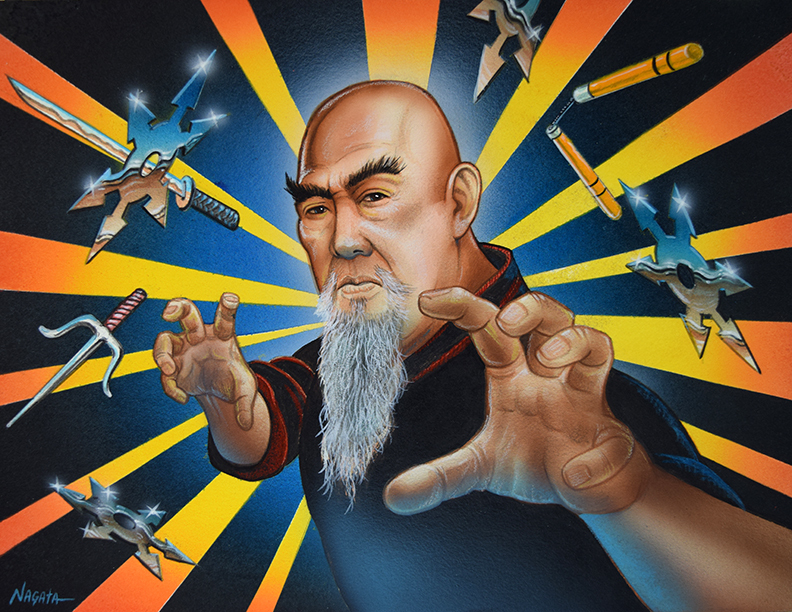 Join Mark Nagata for a gallery tour during which he’ll share more about his passion and his collection of toys. Limited to 25 participants. RSVP by January 2 using the link below. You can also contact memberevents@janm.org or 213.830.5646. Welcome the Year of the Boar with with crafts, food, cultural activities, and performances! Conversation with Kaiju vs Heroes artist Mark Nagata about his latest special limited edition toy figure, an homage to the character portrayed by Gerald Okamura in the movie Big Trouble in Little Tokyo which is being released that day. Nagata and Okamura will sign figures and a special print release. JANM Members Only reserved seating and express lines! Free admission all day to see Kaiju vs Heroes: Mark Nagata’s Journey through the World of Japanese Toys, Gambatte! Legacy of an Enduring Spirit, and Common Ground: The Heart of Community. Visit janm.org/oshogatsufest2019 for complete schedule. Sponsored by Los Angeles County Arts Commission, Dwight Stuart Youth Fund, and The Nissan Foundation. To mark the release of Kaiju vs Heroes artist Mark Nagata’s latest special edition sofubi toy figure—an homage to the character played by Gerald Okamura in the movie Big Trouble in Little China—Nagata will discuss how this project came to fruition. Reserved seating for JANM members. Nagata and Okamura will sign figures and a special print of the header art for the toy. The figure is hand-painted by Mark and limited to 45 pieces. Express line for members. In a departure from the regular indigo and shibori workshop, the first day of this workshop will focus on indigo and shibori dyeing of recycled fabrics and threads. Those will then be used the following day to make a replica of a komebukuro, or offering bag. These bags, in which offerings were taken to the local temple, were originally made from either scraps of leftover and reusable household textiles or from unused family kimonos. As inspiration as well as for construction ideas, we will study several pieces of antique boro (tattered and mended) textiles and both antique and vintage komebukuro bags. Several contemporary pieces will also be on display. Fabrics will include hemp, silk, cotton, and linen. This workshop is sold out. To be placed on a waitlist, please email visitorservices@janm.org.